In 2010, DC Comics started a new, ongoing comic book series that retells the earliest adventures and origins of their greatest heroes. This new series is called Earth-One. As of right now, four character story lines have been released: Superman, Batman, Teen Titans, and Wonder Woman. There are plans to add the Flash and Aquaman at a later date. Overall, the Earth-One comics have peaked interest and received decent reviews. The series isn't hailed as the greatest series ever or receiving the highest marks of praise, yet I still think there's merit and worth to the series. There are many elements that make Earth-One stand out in my mind as a worthwhile comic book series to read. Here's why. 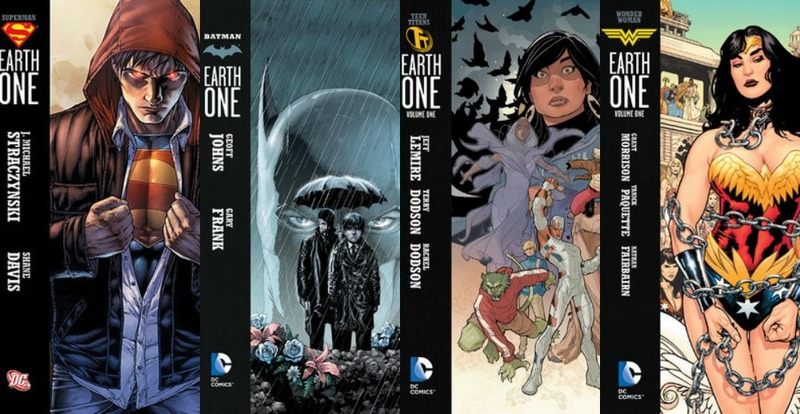 The point of Earth-One was to create the origin stories of well-known heroes but with a 21st-century audience in mind. This gives the series an edge that other comic books don't have. Heroes like Superman, Batman, and Wonder Woman have been around for a long time. There are decades worth of story arcs already created, read, re-read, and re-created. While relaunching origin stories is not a new concept, giving readers a 21st-century feel to the stories is. It helps the readers connect to the characters and world more than a story line from the 1930s ever could. One recurring point of praise that is evident for all four released story lines is the artwork. The artwork of Earth-One, all done by different artists, is gorgeous. These comics show-off the 21st-century technology for artists. The color palettes for each hero is carefully chosen and beautifully visualized. I recently finished the first volume for the Wonder Woman arc, and I was mesmerized by the dazzling colors of the Amazon ladies on Paradise Island. The artwork, if anything, is a high point for Earth-One. I'll admit there are predictable moments when it comes to the comics. It's hard to retell a well-known origin story without the reader knowing some of what will happen. Of course Superman will make the right decision, Wonder Woman will come to Earth, Bruce Wayne will become Batman, and the Teen Titans will team-up to become...well, the Teen Titans. There is predictability, but at the same time, there are also some excellent plot twists. Superman: Earth One has probably one of the best, well-crafted plot twists, which left the end of the three volume arc open for more. Batman: Earth One shook things up in Gotham in much the same way. I promise you there won't be total disappointment when reading these if you enjoy a few unique changes to the well-known stories. For the most part, these comics retell the known story arcs of the characters. Kal-El lands on Earth and is found by the Kents after Kyrpton exploded. Bruce Wayne becomes Batman. Wonder Woman is an Amazonian warrior princess. The Teen Titans are teen superheroes. However, there are some differences with the stories. These characters aren't necessarily heroic right away. The series shows their journey to becoming the heroes we know. They have to learn who they are and how they can be heroes. 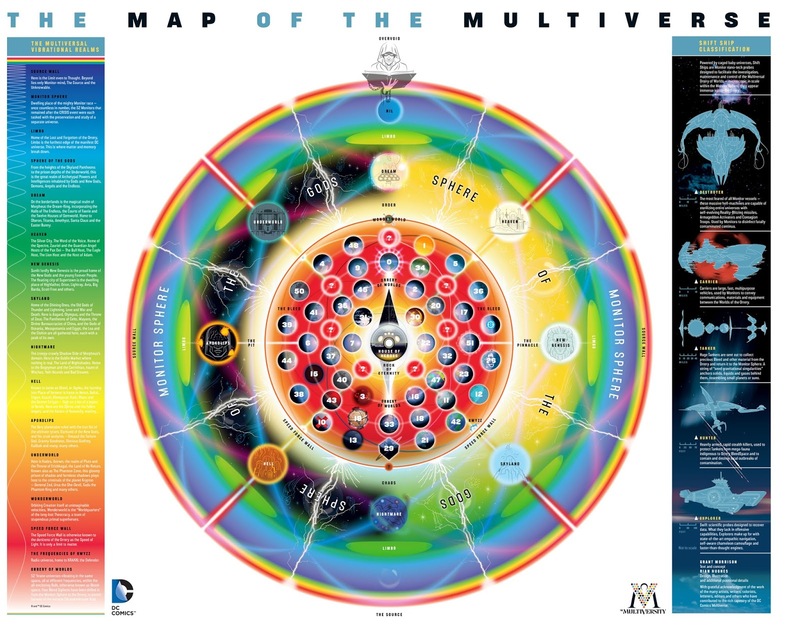 "For a handful of heroes, Earth-1 is that proverbial unknown of the Multiverse. Superman, Batman, Wonder Woman and the Teen Titans may be household names to us, but rest assured, these are not the seasoned veterans with storied histories we’ve come to know and love. This makes their stories different than the normal. Clark Kent doesn't immediately go to the Daily Planet for a job, allowing him to explore options of who he could be and who he chooses to be. Bruce Wayne is related to both the Waynes and the Arkhams, which give his story line a richer connection to the roots of Gotham City. Wonder Woman is put on trial by her Amazonian comrades, which places her in a different position than the revered and powerful victor she's established herself as. The Teen Titans have various elements tying them together, which gives them shared purpose to defeating their enemies. It's intriguing to see well-known heroes with slight differences in their story lines, giving us something old yet something new. The potential for the comics is high. The point of it being called "Earth-One" is so it's distinguishable from every other comic story arc in existence. All of the arcs take place in a new Earth, which allows the series freedom from continuity errors. (This ties into the multiverse!) Basically, anything can happen. In addition, this is only the beginning of retelling character story arcs. They've already planned to add two more. In the future, we can probably expect them to add more characters--like Green Lantern, Shazam, Martian Manhunter, and Black Canary. (Seriously, DC, give me a Black Canary retelling!) There's potential to revisit all the major, and even minor, heroes of the DC Comics world. This will give the heroes a fresh story with vivid illustrations and interesting story lines for a new audience. This is what Earth-One is all about. Have you read any Earth-One comics yet? Which heroes' origins would you like DC to revisit in the future?